Well, a lot of folks are so unhappy with the new Lion operating system that they’re returning to Snow Leopard. Even some people who are buying new Macs with Lion pre-installed are wishing they could get rid of the new hairy cat for the cooler and more efficient previous one. In this post I’m going to point you to a few links that should help you do just that. Carbon Copy Cloner (free software). Safety first, folks! Go to How to Clone your hard drive — do this before you start! It’s your insurance, and it’s far better and easier than Time Machine. Even if you use TM, make a clone too! Take a look at How to Install Snow Leopard on an External Disk — If you’ve already got Lion on your internal, install SL on an external first. Try it out for a week or so. If you’re convinced you’re going to revert fully (rather than just run both in tandem, like I do), then clone it back to your internal HDD using carbon copy cloner, as detailed above in How to Clone your hard drive. Finally, How to revert your Mac to Snow Leopard offers a comprehensive guide from ASC community member ds store. 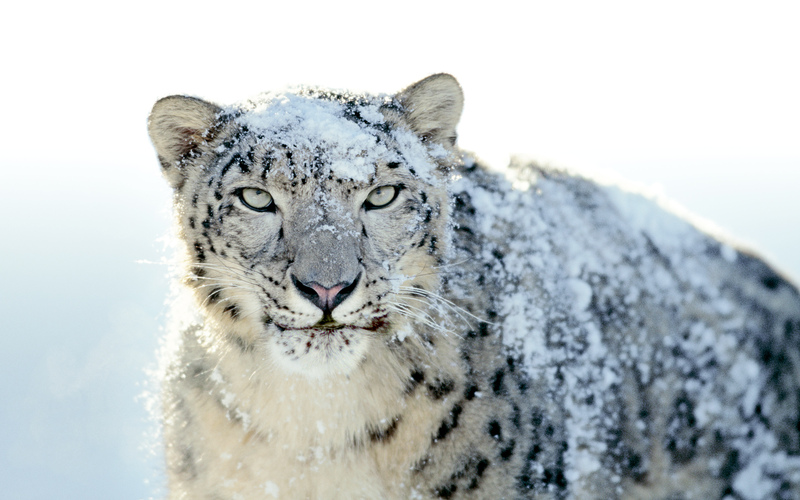 Have you reverted to Snow Leopard? Let us know how it went, and why you decided to ditch the Lion in the comments below. Posted on September 10, 2011, in OS X Lion, Snow Leopard and tagged 10.6.8, 10.7, downgrade, lion, macbookpro, reinstall, revert, revert to Snow Leopard, Snow Leopard, uninstall. Bookmark the permalink. 10 Comments. I haven’t changed back and I probably won’t only because it’s such a hassle. I’ve had Mountain Lion for less than 24 hours and I hate it. It’s so messy and inconsistent. The opposite of what I most valued about Mac at a user level. Might as well change to Linux. The only reason I ‘upgraded’ was for auto save and crash recovery. I didn’t know I’d get all this other junk along with it. Ugh. I found my Snow Leopard install disc. Can I revert without having to re-install my apps like CS2 and MS Office? You don’t need a Firewire disk; you can install and run OS X on a USB external perfectly well. The problem is you still need the SL install disk to revert to SL even from Time Machine backup, I’m afraid. If you restart Lion with ‘Command – R’, it won’t let you choose to install from a Time Machine backup that is older than the Lion install itself. As I said before, try Applecare. You can also find the commercial ‘white’ SL upgrade disk on places like eBay, but be careful as I believe these will only work on machines manufactured before April 2010. Please help me. I am behind in the game as I just discovered after upgrading to Lion last week that it doesn’t support my Creative Suite 2. I bought my iMac just under a year ago and thought it would be nice to have Lion to use the iCloud. I didn’t know I would be sacrificing my CS2. Like Leann, I purchased my iMac from Best Buy and have no discs. I downloaded my “upgrade” to Lion from the Apple website so I do not have discs for that either. What do I do? Do you have Time Machine or other backup system? If not, make a note to self to start using a backup immediately. To restore your old OS without a backup, you’ll need to contact Applecare and request a replacement install disk for your machine’s original system. You can also request a refund for Lion, too (which hopefully will cover the cost of the replacement disk they’ll no doubt charge you for). I have TM. I wanted to run one OS on my external and the other OS on my internal but my external doesn’t have firewire. To downgrade to SL do I restart my computer and hold ctrl-R until it starts back up and then restore from the time right before I installed Lion? i could keep the lion, only if they are going to make it compatible with apple tv. do you know when will this happen? Hi Leann, you may be able to use the solution offered in the last link in the post above. I’d wait to see what Apple Care have to say first though. What do you do if you don’t have any Snow Leopard discs? My iMac 27″ came in a box from Apple thru Best Buy with everything on it. I don’t have any discs. I have an Apple Care Contract and am waiting on a call from their East Coast help people.